Bed Bugs London Answer: If I Have Bed Bugs What Should I Do? If I have Bed Bugs what should I do? Bed Bugs London are often asked: If I have bed bugs what should I do ? Call a specialist. Please DO NOT try to deal with the problem yourself. The over-the-counter pesticides or ‘bug bombs’ that are supposed to kill bed bugs do not have a long lasting effect and will only kill the bugs on contact. . 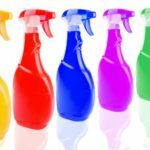 In fact if the bug crosses the spray at a later time it could make the problem worse, by irritating them and dispersing them further around your home. Commonly, we find that people who come to us have already tried various sprays without any success. Quite a few have already had unsuccessful treatments from other more general pest controllers, too. Bed bugs are probably the most difficult indoor pest to get rid of and dealing with them requires a lot of expertise.